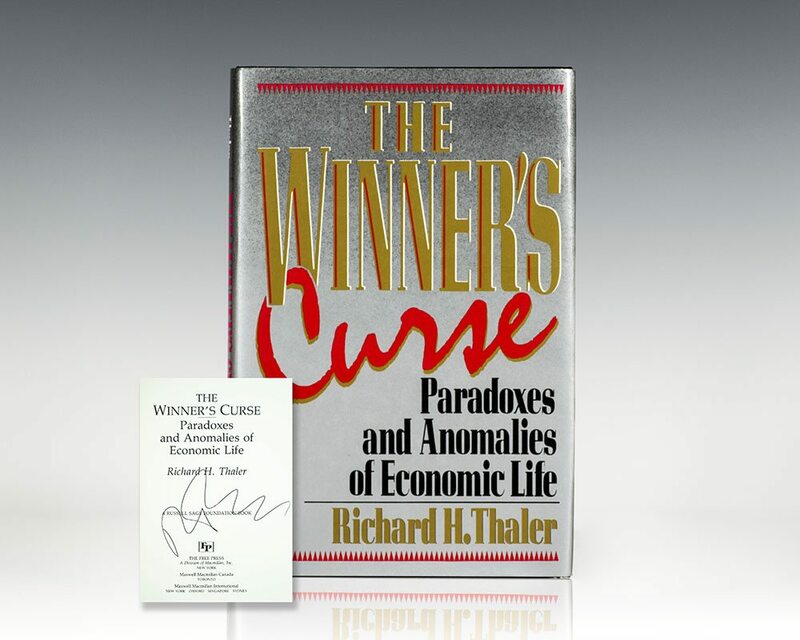 The Winner’s Curse: Paradoxes and Anomalies of Economic Life. New York: Free Press, 1989. First edition of the Nobel Prize-winning economist’s groundbreaking book. Octavo, original boards. 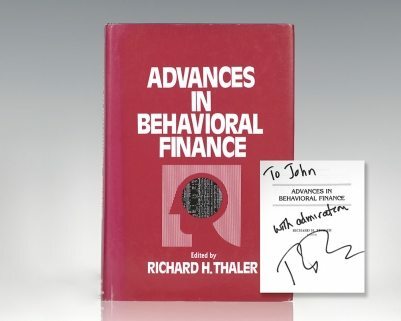 Signed by Richard Thaler on the title page. Near fine in a near fine price-clipped dust jacket. An economic anomaly occurs when there is a difference between how standard economic theory predicts people should behave and how people actually behave. Thaler examines a number of these situations that occur in the real world and experimentally. Although everyone will recognize these situations, unfortunately much of his discussion will not be accessible to non-economists. Economists will find this an intriguing work that provides excellent reviews of some of the most recent economic research. Consequently this volume would be appropriate for libraries at universities with graduate programs in economics. "By unraveling a series of real-world puzzles with philosophical and practical implications, Thaler illuminates some fairly abstruse ideas in an entertaining way.... The best minds in economics today, as Thaler's provocative book suggests, are trying to supplement [insights into markets and prices] with a broader understanding of what makes people tick" (Christopher Farrell, Business Week). New York: Russell Sage Foundation, 1994. First edition of this collection of essays. Octavo, original cloth. Inscribed by the Nobel Prize-winning economist on the half-title page, “For John Keep nudging for good! 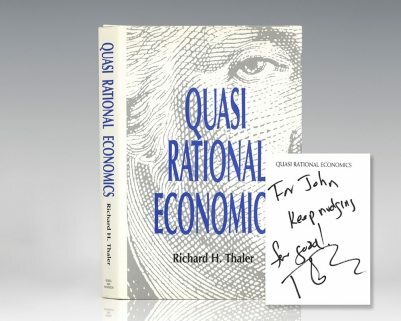 Richard Thaler.” Review copy with the slip laid in, fine in a fine dust jacket. Jacket design by Whit Vye.